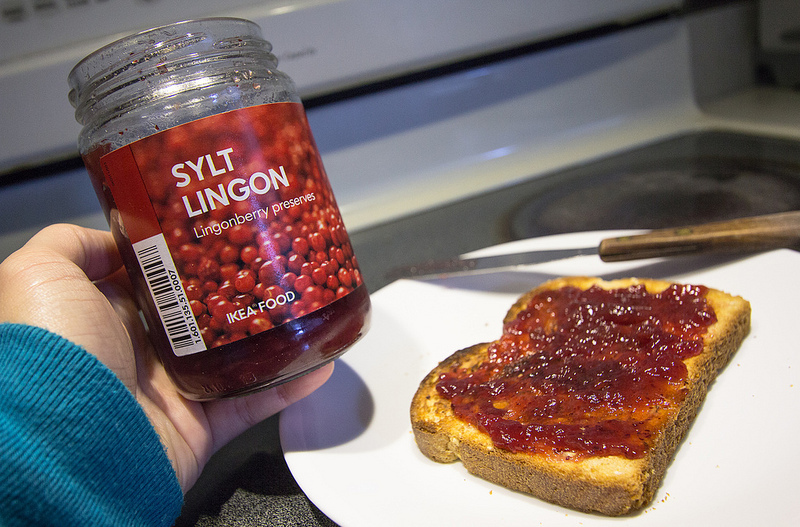 Lingonberry jam can be found at most IKEA stores. In the SF Bay Area, there are two IKEA stores, in East Palo Alto (EPA) and Emeryville. I’ve never seen lingonsylt on toast before, but it looks rather nice!